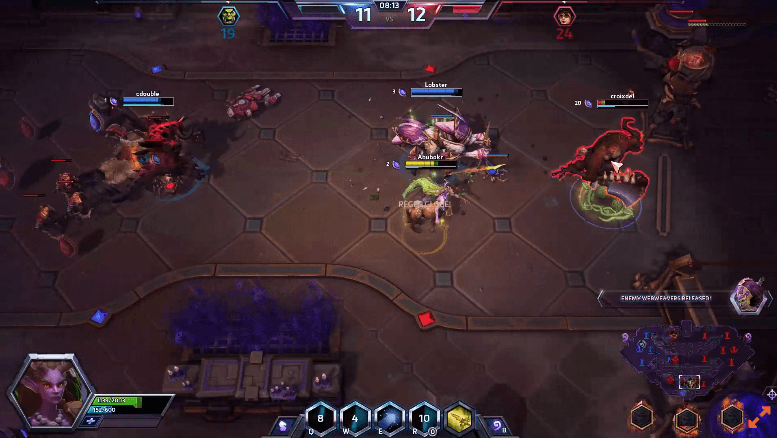 For a player coming from Dota 2, the update cycle for hero releases in Heroes of the Storm seems unreal. I’m used to seeing a new hero after months or even a year, but Blizzard promises to deliver a new hero every month. 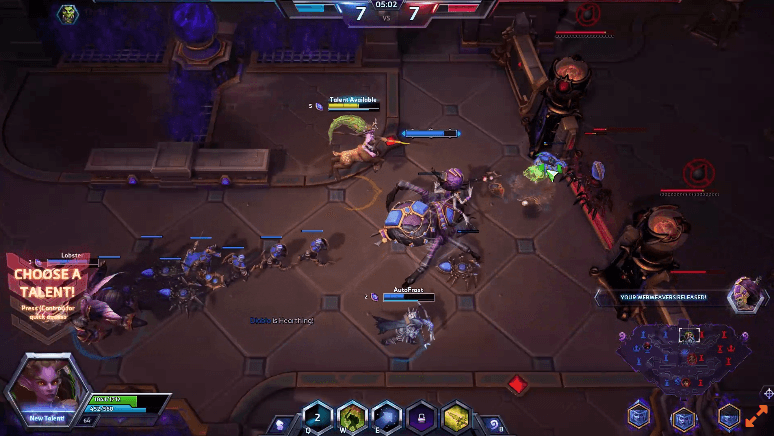 This may be seen as a bad sign as the heroes could be rushed and just pushed into Heroes of the Storm but this is not the case. The heroes are well designed, although some better than others, and play well. You will not have to worry about buggy heroes just because they are being pumped out at this rate. Just after the release of Cho’Gall and a new battleground, Blizzard has gifted us with another new hero: Lunara. While not as exciting as the innovative and revolutionary Cho’Gall, who is played by two players, Lunara is still a fun and interesting hero. The first daughter of Cenarius, Lunara is a centaur that plays the role of a ranged assassin. 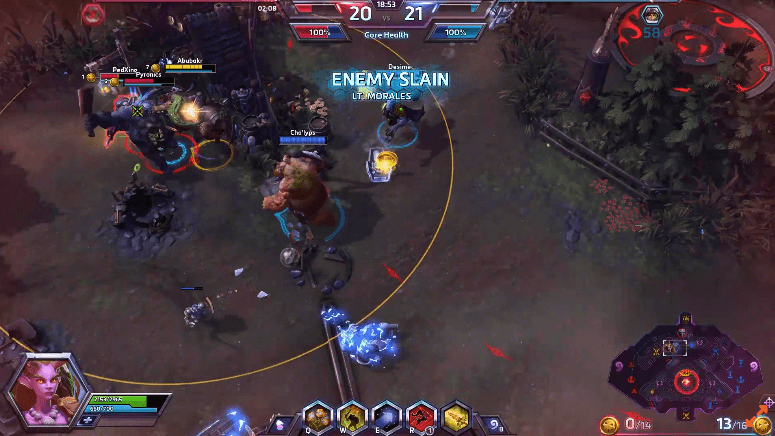 Ranged assassins, for those unfamiliar with HoTS, are responsible for dealing damage and killing enemies from afar. You will not see these heroes in the midst of fights for long unless they are being supported by their team. They can easily be focused down and defeated if caught out of position. It is not unusual for ranged assassins to be very squishy and be unable to tank damage, but Lunara is especially squishy. She also has no escape ability aside from her 20% movement speed bonus passive which replaces her mount and doesn’t seem to help much. Her first ability, Noxious Blossom, explodes an area with pollen dealing damage. This ability can be useful to poke from afar, albeit without much effectiveness, and push waves. Her second ability, Crippling Spores, increases the duration of Nature’s Toxin (more on that later) and slows enemies. Wisp, Lunara’s third ability, is a bit weird. It summons a movable wisp that grants vision in an area. This ability seems odd to be found on a ranged assassin. Due to the Wisp dealing no damage, Lunara has trouble keeping up with other ranged assassins. This seems like an ability that is more suited to supports instead of a ranged assassin. While both her first and second ability work well with Nature’s Toxin, which is a poison dealing damage overtime applied with auto attacks or spells, Wisp just does nothing. The enemy can kill this wisp, making this ability useless when it is on cooldown. Fortunately, both her ultimate abilities are quite useful. Thornwood Vine holds three charges which can be used to send forth vines dealing damage in a line. This is a great ability when you want to focus on damaging multiple enemies and apply your poison to multiple heroes. However, Leaping Strike is my go-to ultimate ability due to its mobility and single target damage. This ability can be used to leap over an enemy, slowing them and dealing damage. It also has two charges allowing it to be used to get in and jump back out as needed. It can be a lot of fun leaping around to better position yourself, get away, or chase down enemies. Leaping Strike provides much more utility than Thornwood Vine, in my opinion. As far as the talents go to improve these abilities, they are nothing unique or special. You can pick between the various talents depending on the situation and your playstyle. However, I would recommend sticking to one style when it comes to talents. If you focus on improving your Noxious Blossom, then continue to improve it. If you prefer to increase your poison damage over time, focus all your talent points on doing so. Picking one of each will not do you any good in the long run, you will just have a lot of weak abilities. The theme of being weak doesn’t end even if you do focus on the right talents. While Lunara is a blast to play, she is very weak. Sometimes the low win rate (33% for Lunara at the moment!) can be explained by players’ inexperience, but it seems like Lunara is in need of some buffs. She lacks in the damage, mobility, and range department. Her auto attacks are not very strong and she attacks very slowly from a low range. If you couple this with her poor mobility (no, a 20% movement speed boost is not enough), she can be very difficult to position correctly and still deal enough damage. There are many other heroes which can fill in for Lunara and contribute more for the team. To conclude, Lunara is not a very viable hero in her current state. There are many better ranged assassins that can provide a lot more for the team. She deals mediocre damage, is difficult to position, and does not provide much crowd control. I enjoyed the time spent playing Lunara but always felt like games would be much easier if I was playing a different assassin. You have to work much harder to do the same that other assassins can do with less effort. I hope Lunara receives some buffs in the future. Even simple changes such as increased range or attack speed can make a big difference. 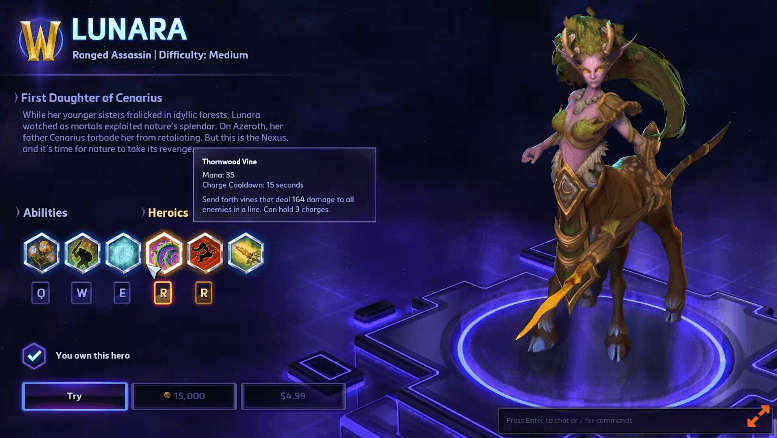 I would hold out on purchasing Lunara if you are hoping to play her in a competitive environment and win but if you are simply looking for a fun hero, Lunara will not disappoint you. At first it may seem odd how such a simple and ‘plain’ hero can be fun, but sometimes simplicity done right can lead to a lot of enjoyment. Blizzard has extended the winter sale, be sure to pick up Lunara for half the price while you still can! Amazon.com has revealed a new service today, called Game Connect. This morning, gumi announced that pre-registration for their latest strategy RPG, The Alchemist Code has officially started!